The rising price for EpiPens, a drug delivery system that is crucial for persons experiencing potentially life-threatening allergic reactions, has resulted in outrage. The price increase, from about US$94 for a two-pack of injectable epinephrine to more than $600 in just nine years, has members of Congress calling for investigations in how Mylan, the drug’s manufacturer, can justify this increase. In the last year alone, the price has climbed by $200. The company does offer a savings program that applies to some consumers. Those with high-deductible insurance plans, which includes a growing number of Americans, do not get much relief, however. This is hardly the first example of sharp price increases. Turing Pharmaceuticals, and its then-chief executive Martin Shkreli, raised the price of the drug Daraprim, which treats a life-threatening parasitic infection, from $13.50 to $750 per tablet. The drug, 62 years old at the time, was not covered by a patent and was a key antibiotic used in treating persons with HIV/AIDS. The price hike put patients’ health at risk, leading to a cost of hundreds of thousands of dollars for some. Shrekli, unsurprisingly, was vilified (and, for unrelated reasons, ultimately indicted on fraud). While this conduct was outrageous, it wasn’t illegal. Any pharmaceutical company is free to set the price for its drug at any level the market will bear that maximizes their profits. Other drugs whose prices have risen include treatments for hepatitis C, cancer and high cholesterol. So, while the price hike was not the best public relations move, it is legal. What explains such a rapid rise in price for a drug that has been around for several years? As a patent lawyer with particular experience in the pharmaceutical industry, I think it’s important to look at the role of patents and also FDA approvals in drug discovery and sales. Currently, a backlog of about 4,000 generic drugs is awaiting FDA approval. Both factors play a role in how both rare and common drugs, such as EpiPens, can shoot up in price so rapidly. High drug prices for medications are nothing new. They are often expected, given the role of the patent system in fostering innovation in the pharmaceutical industry. 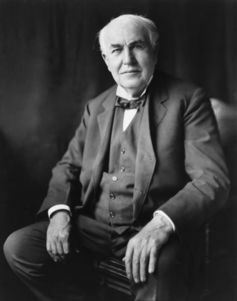 Thomas Edison knew the value of patents. He held more than 1,000 in his name. Patents create incentives for persons to innovate by giving them a limited period of exclusivity, currently from the date the patent issues until 20 years after its application date. During the patent’s term, the owner can stop others from making, using or selling the patented invention. Without this period of exclusivity, companies would have little incentive to engage in research and development. Pharmaceutical research and regulatory approval is a costly endeavor. The average cost to bring a drug to market is $2.6 billion, according to the Tufts Center for the Study of Drug Development. Imagine the world of pharmaceuticals without patents. The National Institutes of Health predicts drug development would greatly diminish. Once a company put a drug on the market, others could purchase it and likely figure out how to synthesize a competing version, without incurring all of the research and development costs to identify that particular chemical entity. When the competitor enters the market, they would be able to undersell the original innovator, whose price must reflect those sunk costs of research and development. Likely, it would not be profitable to have ever engaged in the drug innovation to begin with. Patents help stimulate innovation by temporarily avoiding this dynamic. 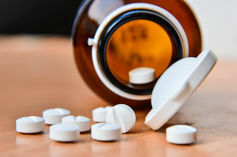 During the patent term, particularly for pharmaceuticals, the patent holder may effectively have a monopoly, allowing the company to charge prices higher than a competitive market would allow. As a society, we largely have accepted this elevated price because we believe it helps pharmaceutical companies to recoup their sunk research and development costs and to perform later research for the next generation of drugs. Once the patent expires, however, others can enter the market, creating competition and lowering the price for the drug. There are opponents to the power of these patents. Critics argue that these patents deny patients access to those drugs to patients in need. Accelerated approval of some drugs could cut costs. So, if it isn’t the patent system, then what is at play? It is conceivable the cost of producing some of these drugs has gone up. Similarly, there could be surging demand that drives up prices as well. Neither, though, explain the abrupt, dramatic hikes of some of these medicines. At the simplest level, there is simply a lack of competition for these drugs, even absent patent protection. Some of this dynamic could be the well-recognized consolidation in the pharmaceutical industry, which may have reduced competition. The low profit margins on some of these drugs may have led some companies to leave the market altogether, leaving only one company. Congress and the FDA are well aware of the backlog, even though the FDA says it is picking up the pace, thanks to fees charged to the drug companies seeking approval. In theory, some of these are just short-run problems. Eventually exorbitant prices will draw other competitors to the market and prices will come down, or so goes the thinking of basic supply and demand. But, FDA regulations – if unduly onerous – could continue to create long delays, resulting in higher prices and loss of access to some of these medications. It may be time for the FDA to reconsider some of its regulations governing these well-known, generic drugs to reduce the cost of approval and to facilitate competition. For example, the FDA may need to consider some sort of accelerated approval for importing drugs already sold in countries with regulatory systems comparable to our own. In that way, competition for these unpatented drugs could return more quickly. As famed economist John Maynard Keynes noted, in the long run, we’re all dead. But, even if these price hikes are only in the short run, some of these patients may be dead in the short run, too. At present, companies will charge prices that the market can bear for these drugs. There are few levers the government has to impact these prices. The FDA is in a unique position to act. It should revisit its role in this regulatory structure to ensure it is striking the appropriate balance between protecting patients from flawed drugs and ensuring drugs get to market to reduce prices.